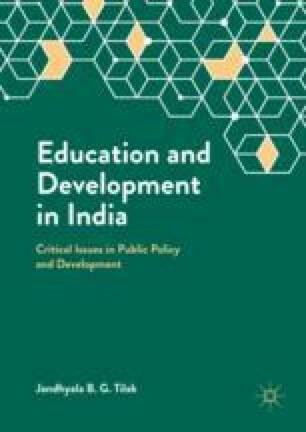 Reflecting on the nature and pattern of development of universities in India and abroad and drawing lessons from the past and also contemporary scene, the chapter highlights a few major fallacies in planning university development, and contrasts them with available evidence. It has been found that the whole approach to planning university systems seems to be guided more by immediate, short term, narrow and pecuniary considerations and compulsions and by questionable presumptions and fallacious arguments rather than by long term and broad national and global considerations and theoretically sound and empirically valid research. It also emphasises the need to resurrect the idea of the ‘ideal’ university. This is a revised version of the 15th Professor Suresh Chandra Shukla Memorial Lecture delivered in Jamia Millia Islamia on 16 March 2017. I am extremely grateful to the Vice Chancellor, Jamia Millia Islamia, Professor Talat Ahmad, the organisers of this Memorial Lecture and other friends at Jamia, for inviting me to deliver the lecture. The insightful comments and observations by C.T. Kurrien, Pravin Patel, Furqan Qamar, A. Mathew, M. Anandkrishnan and L.S. Ganesh on an earlier version of the lecture are gratefully acknowledged. ACE (American Council on Education). 2012. On the Importance of Diversity in Higher Education. http://www.acenet.edu/news-room/Documents/BoardDiversityStatement-June2012.pdf. Accessed 10 Feb 2017. Bardhan, Pranab. 2017. The New Class Act. The Indian Express, January 20. http://indianexpress.com/article/opinion/columns/higher-education-in-india-is-failing-overhauling-the-system-can-salvage-it-4482520/. Accessed 21 Jan 2017. Government of India. 1950. The Report of the University Education Commission (December 1948–August 1949). New Delhi. http://www.teindia.nic.in/files/reports/ccr/Report%20of%20the%20University%20Education%20Commission.pdf. Government of India. 2009a. Report of ‘The Committee to Advise on Renovation and Rejuvenation of Higher Education’. New Delhi: Government of India, Ministry of Human Resource Development. http://mhrd.gov.in/sites/upload_files/mhrd/files/document-reports/YPC-Report.pdf. Accessed 13 Nov 2017. Government of India. 2009b. Report of the Committee for Review of Existing Institutions Deemed to be Universities. New Delhi: Government of India, Ministry of Human Resource Development [Chairperson: P.N. Tandon]. http://www.academicsindia.com/Tandon_Committee_report_on_deemed_varsities.pdf. Accessed 10 Nov 2017. Krishnan, Anand. 2017. Why Doctors Need Humanities? The Times of India, February 28. http://epaperbeta.timesofindia.com/Article.aspx?eid=31804&articlexml=Why-Doctors-Need-Humanities-28022017014017. Accessed 5 Mar 2017. Nehru, Jawaharlal. 1947. The Function of Universities. Address to a Special Convocation of the University of Allahabad. In Select Speeches and Writings of Nehru. http://celebratingnehru.org/english/nehru_speech24.aspx. Accessed 13 Nov 2017. Newman, John Henry. 1852. The Idea of a University, reprinted. In Essays: English and American, vol. 28, ed. C.W. Eliot, 1909–1914, Harvard Classics. New York: PF Collier & Son. http://www.fordham.edu/halsall/mod/newman/newman-university.html. Accessed 13 Nov 2017. Tai, Hsiou-Hsia. n.d. The Features of World-Class Universities. Taiwan: National Chiao Tung University. http://www.shanghairanking.com/wcu/wcu1/Tai.pdf. Accessed 13 Nov 2017.